What is the difference in Asymmetrical vs Symmetrical bowling balls? If you have bought several bowling balls you have likely seen the terms used quite often. Have you ever wondered what the terms meant?We often see cut-aways of the core in the sales description. The technical description indicates that the core of the ball is one or the other, Asymmetrical or Symmetrical bowling balls. So, what is the difference between the two? I thought you would never ask! I will start with the Asymmetrical core first. An Asymmetrical ball is where the RG (radius of gyration) differential between the high and low axis’s differ by more than 5%. To keep it in simple terms that do not involve the ratio of gyration, the Asymmetrical core is not in equal proportions top to bottom where as the Symmetrical core is. So, this weight imbalance will cause the ball to move faster or slower while trying to return to it’s most stable balance point. This will be shown in the videos below. The Symmetrical Core is just the opposite where the RG differential between the high and low axis’s is less than 5% . To simplify this once again we will consider the shape of the core. The Symmetrical core is normally longer, slimmer, more consistent profile. This will allow the ball to roll smoother because it is not affected by any counter weight on one area(axis)in relation to another(axis) on the core. I know this is an over simplification, but if you look at different cores you will see what I mean when I say that. These are just examples, and many different styles are made. If you notice above the Asymmetrical Core has a varied assortment of protrusions in different areas that are in an irregular shape, where as the Symmetrical Core is more uniform in respect to the ball, or basically in the same proportions all the way around the ball. Because the proportions in the Asymmetrical are not uniform, the weight distribution when you hook your bowling ball, will cause a sharp angle to occur when the ball reaches the break point and will respond faster to friction on the lane compared to the Symmetrical Core. It is producing a controlled off-balance situation which enhances the bowling balls hook, and changes the angle of entry to the pocket.This angle is changed when the axis of the ball moves in response to the core weight being affected by the friction of the lane. Also known as the flare potential of the ball, the higher the differential of RG measurement number, the greater the track flare potential. Asymmetrical cores in general will give you more skid length before beginning to hook, but will hook harder and stronger, sometimes referred to as the block flip. When the ball reaches the break point, the direction changes abruptly as the weight block flips or starts to affect the balls direction of travel. The needs of the bowler come into play, when you talk about what a bowler needs.If a bowler thinks that his ball needs more hook, then he is more likely to pick an Asymmetrical core, to help the ball finisher stronger. If a bowler is having problems with his ball hooking too soon and feels he needs to get the ball further down the lane, then he also might turn to the Asymmetrical ball, with a less aggressive cover stock. Why? This will provide the additional skid to get the ball farther down the lane. But, in heavy oil conditions, a more aggressive cover stock is needed. Then, combined with the weight distribution of the Asymmetrical block, you get the most aggressive angular hooking balls. You also have the most options for a variable hook with Asymmetric bowling balls. If you were league bowling and into the third game and were having issues with control or heads that were just to dry, then this is the condition where the less aggressive Asymmetrical ball would work too your advantage. To clarify we are talking about cores here, and non-drilled balls. Because once the ball is drilled for fingers and thumb holes, then all balls become Asymmetrical to a point, and the differential of + or – 5% becomes the deciding factor. The symmetrical core is where the RG(radius of gyration) differential between the high and low axes differ by less than 5%. So since this differential number is going to be less, then we can expect the Flare Potential to be less, or less hook at the break point.The Symmetrical Core is the same all the way around the ball at least on one axis say horizontal, but not vertical. This should deliver a smoother line, with less angle, and a ball that starts to hook sooner, with a smoother arc to the pocket. This is important because it means the lower the RG differential, the less Asymmetrical or lower the hook rating on the ball will be. Or the more Symmetrical or smoother the ball and less flare in the hook motion. 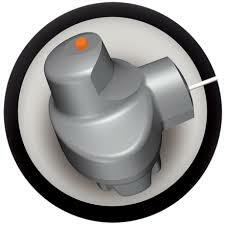 If you throw a slower speed ball or bowl on drier lanes then the Symmetrical Core will give you a smoother arc motion. Or maybe you find you ball hooking away from the spare shots you are trying to make? Then, the Symmetrical Core will tend to be smoother and less angular. Less snap or block flip gives you more control and helps make those shots a bit easier. Asymmetrical vs Symmetrical cores should mean something to you now. If nothing else, you should have some idea what the two behave like on the lane. To put is simply, the Symmetrical Core allows a smoother hook to occur sooner. In contrast, the Asymmetrical Core saves energy and gives the ball a more sharp angular aggressive action on the back end. The biggest difference in the Asymmetrical vs the Symmetrical core is that Asymmetrical will deliver more aggressive movement. While the Symmetrical core will deliver a more consistent and smoother motion overall on any conditions. But the key to know is that the core is not as important as the cover stock in terms of aggressive hooking balls. So, the less experienced bowler who doesn’t yet have enough knowledge about aggressive hooking balls would likely enjoy using a more controllable ball. The drilling layout is also a very important factor in how a ball is going to behave, because you are changing how the weight is distributed in the the ball as rolls going down the lane. So, technically we could alter cover stocks and drilling layouts and get nearly similar results from both cores, but the Symmetrical Core is much more limited.There are many more options with the Asymmetrical core.However, the Asymmetrical core will expose or magnify a bad release, for example. The bottom line would be your preference on how a particular core, cover stock and drill layout delivers the motion you tend to feel most comfortable with. If you were bowling on dry conditions almost constantly, then a combination of shiny pearl type finish with a Symmetrical Core would most likely deliver the most controllable and least hook motion.The more control you have, the easier it becomes to get the ball to the same spot over and over. Then the game becomes more enjoyable. This information would likely not help the beginner bowler. Asymmetric vs Symmetrical bowling balls is for the more seasoned hook bowler who is looking to fine tune his game. Arcades and house balls found in bowling alleys are most likely just a solid plastic ball without any core. These are plastic or polyester ball. They are the cheapest to buy and arcades and Bowling Alleys would not want to invest any more than necessary. They know these balls will take a lot of abuse. And they are made of a harder material making them more durable.You can find the description of polyester balls here https://getmorehook.com/how-to-buy-a-bowling-ball-made-easy/ I hope I answered your question. Thanks for stopping and leaving a comment! I learn bowling from my cousin. We go bowling once a month. We never know there are Asymmetrical and Symmetrical bowling balls. The salesperson in the store never mentioned to us at all. Thank you for the information. When we decide to buy a new bowling ball, we will look out for this features. When you only bowl once a month, you would not be expected to know details like Asymmetrical vs Symmetrical bowling balls. This is really for the more experienced bowler who is trying to tweek his game a little. To find out more go here How to Buy A Bowling Ball Made Easy You will find out more information on different bowling balls. That will help a lot when you decide to buy a ball. I really enjoyed your article. Thank you for sharing your extensive knowledge on this subject. I have never heard of either one and I now feel more confident in being able to choose a bowling ball .You have a lot of useful information in this article. It was laid out nicely. The video was also very helpful. Wow, this opened up a whole new world of research to me! I had no idea that there was so much to bowling balls. That’s incredible. Of the two types; asymmetrical and symmetrical, what type are the regular bowling balls that we see at most arcades and bowling alleys? Is the difference too subtle for a layman to notice? My hands require large finger drilling. 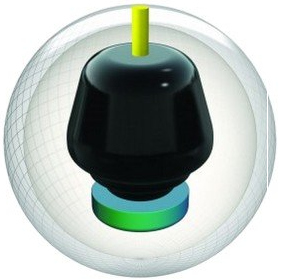 I am thinking about trying an Asymmetrical ball, but after drilling could it become too much? I wouldn’t think so? But, I have had balls that feel heavier than others even when they are the same weight. But, I can’t say it is only because it is the Asymmetrical ball core. I generally don’t feel a difference between the balls when I pick them up, regardless. That being said, as I get older I am noticing arthritis more,so I have been pitching my finger holes 1/2in forward for more comfort.I would talk to the guys in the pro shop, see what they think. Very good explanation! None of my pro shop drillers never explained that too me!! This is kinda of a must know, when buying some these high end balls! Very very enlightening man. Been bowling my whole adult life and really had no idea on the core factor. I always thought it was all about the finish. Thanks!! Glad you liked it. Those cores can make a real difference. But, don’t completely count out the cover stock either.Nowadays the cover stock is very high tech, and they sometimes can mask the action of the core. I still like the symmetrical cores for their smoothness. Thanks for taking the time to comment. It is appreciated! Hi, Chas! This is an interesting thing to think about. I never thought about the core of a bowling ball… I just figured they were some kind of injection molded chunk of epoxy. I haven’t thought about the finger holes making a difference either. It all makes sense though.